Before her television career started in 2001, her bandReno released an album with Curb Records. Promoting the album took her on the road for long stretches of time. These often boring road trips mixed with Katie's wild imagination wasLittle Big Benny’s genesis. It started with the idea that while we may be small in the grand cosmic scheme of things, we also have a universe within as well, which makes us absolutely giant at the same time. Katie dreamed of creating a character that could explore ideas like this while maintaining a sense humor, like the children’s entertainment she grew up with offered. When Katie became a mother herself, she knew it was time to take this half baked idea and develop into a full fledged children's book series. Like Big Benny always tells his son, "Gotta shoot for the stars!" 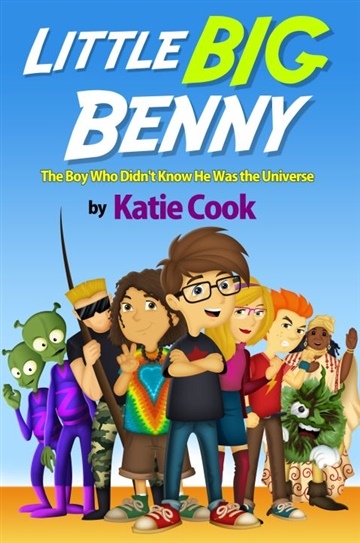 While Katie interviews the stars for her job as host of CMT Hot 20 Countdown, she is also shooting for the stars with her Little Big Benny book series. She hopes one day to see it animated. Katie lives in Nashville, Tennessee with her daughter Daisy Rocket, and their 2 dogs.